Since Barbara Walters left, a lot of changes are now taking place on the daytime talk show, and Jenny hasn’t proved that she appeals to the daytime audience market. Most people just couldn’t relate to her. 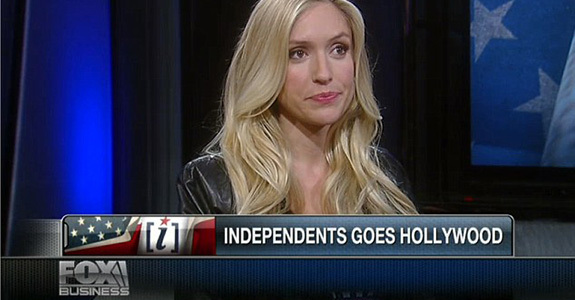 Besides, ratings have dipped slightly since Jenny became a co-host. Numbers on The View are down by about 5 percent compared with last season. ABC’s The View is still at the top, but CBS’s rival daytime show The Talk has climbed 19 percent from last season. While Jenny’s representative has not responded to the rumor, ABC says that while its policy prohibits them from discussing employees’ contracts, “Jenny has been a welcome addition to the show.” Jenny has brought some interesting things to the show. She announced her engagement to Donnie Walhberg. Also, she publicized her new book. So now you know: You cannot simply go up in front of the American public, espousing a dangerous, anti-scientific opinion and expect to keep your job. Unless you’re a member of the government, in which case you can make that the backbone of your entire campaign. Global warming isn’t real, and all that heat is just gay marriage making hell hotter? Sure, I’ll believe that.